One of the key specializations in AVERUS is dispute resolution. 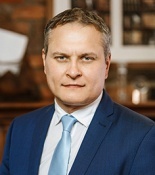 AVERUS has a strong team of experienced litigators who hold a leading portfolio in civil and administrative cases and have represented clients in large scale and complex disputes. Our law firm represents clients in civil and administrative proceedings at courts of all instances, in arbitration proceedings in Lithuania and abroad. Pre-trial stage and work done prior to the dispute reaching the court room are as much important as the work done in the court as good preparation for the case often determines its success. AVERUS’ lawyers start their work before the case goes to court – they participate in the pre-trial stage, help to prepare position of the client and litigation strategy, assesses perspective of the case. When the case reaches the court, our team prepares procedural documents, advises on issues related to collection of evidence, as well as arranges for amicable settlement procedures, including out-of-court mediation. We advise and represent in execution and enforcement procedures, draft documents for acknowledgment of foreign court and arbitration orders or decisions, represent clients in relations with bailiffs and other state authorities. AVERUS litigation team also advises on all tax-related disputes, drafts inquiries to the tax administration authorities, represent clients’ interests in tax investigation procedures, drafts all types of documents related to tax disputes.